The range of VALTEC tools presents new comfortable and precise hand cutters for steel pipes VTi.735 and VTi.701 . VTi. 735 – Telescopic cutter for precise cutting of stainless steel pipes with diameter from 6 to 35 mm with built-in deburring tool supplied with spare cutting roller in the set. VTi. 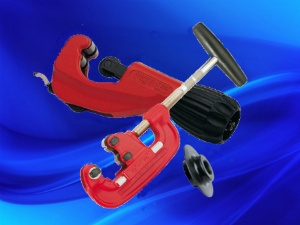 701 pipe cutter is designed for fast pipes cutting made of conventional and stainless steel with the diameters from 10 to 42 mm. The device provides no-duburring effect, so you can start cutting a screw at once. We also offer changeable cutting rollers for these new devices: VTi.W701.F, VTi.W735.SS.